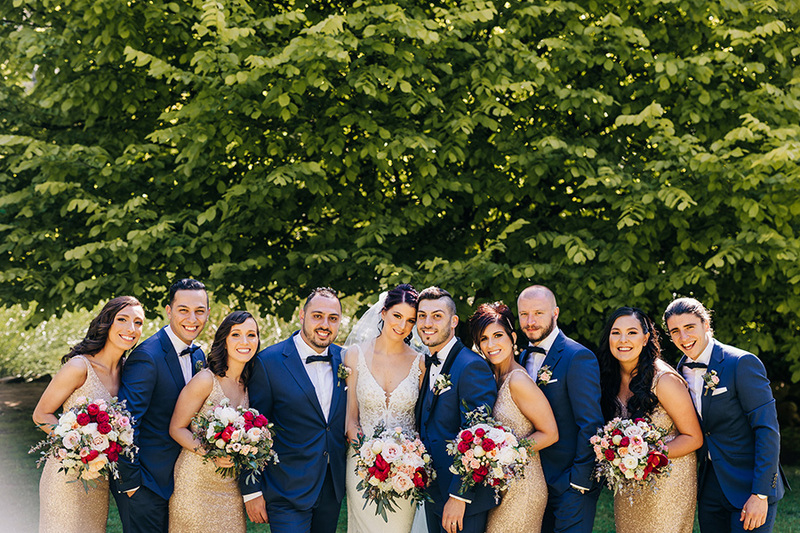 James and Julie had a stunning Spring Melbourne wedding at Lindenderry, Red Hill. The lush grounds and vineyards of Lindenderry made for the perfect backdrop for couple and bridal party photos captured by the talented Georgia Wiggs Photography. After guests were greeted into the reception with fairy floss champagne, they quickly made their way over to the photobooth supplied by In the Booth Melbourne West to begin the photobooth fun! James, Julie and all of their wonderful guests boothed the night away, filling the pages of their black leather guest book with both fun pictures and beautiful messages to treasure for years to come. Congratulations again to the happy couple! Graduating from high school is a very exciting (and potentially daunting) milestone for teenagers worldwide. They’ve made it through over a decade of formal education and are getting prepared to enter the next stage of their lives, whatever that may be. 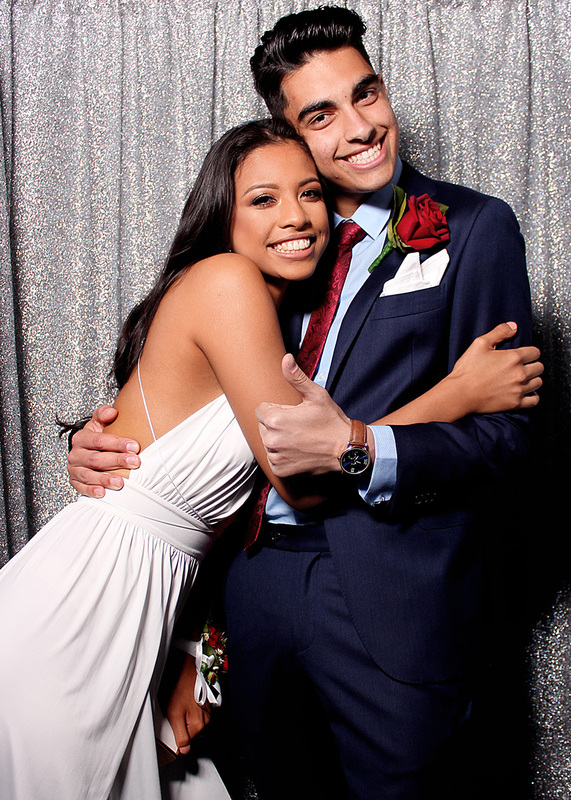 Hire photo booths for your school formal for that extra special touch. Their time at school has been formative to their growth and development as individuals, and is certainly worth celebrating. The senior formal is something many students spend months preparing for. From choosing the perfect gown or suit to selecting the vehicle to arrive in style in, everything is well thought out and highly anticipated. For many, this may be their very first formal occasion, a debutant of sorts! 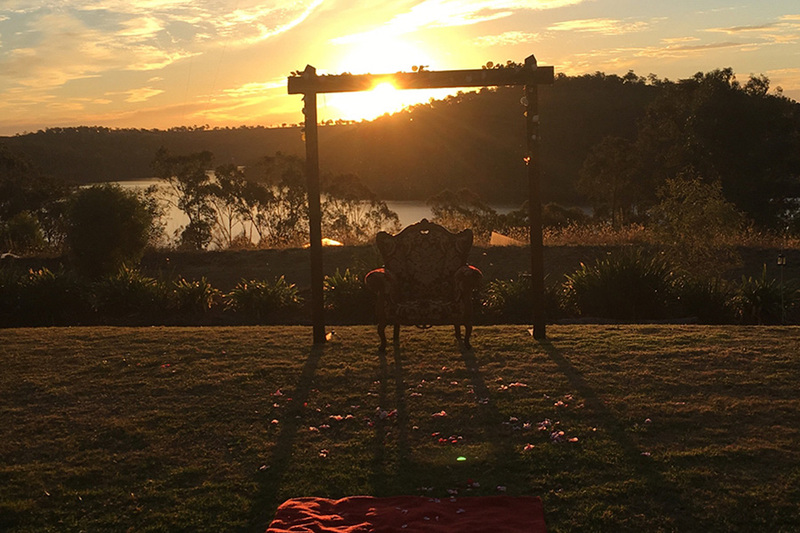 Daniel and Yazmin chose the stunning Gabbinbar Homestead to be the location for their special day, along with a stylish Toowoomba wedding photo booth! With exclusive use of the entire homestead, Daniel and Yazmin’s photographer Evernew Studio took full advantage of the myriad of settings. 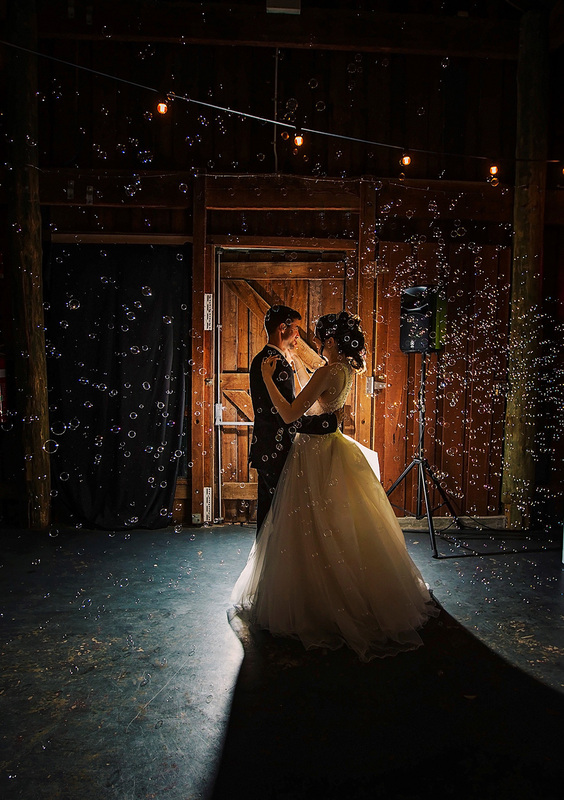 From day light photos on a rustic swing in the lush green lawns, the country charm of the stables, to the romantic festoon lighting laced between the trees in the woods – each and every photo perfectly captured the love between these newlyweds. Guests were treated to a night of superb food and great music, and captured plenty of fantastic memories in the photobooth supplied by In the Booth Toowoomba. 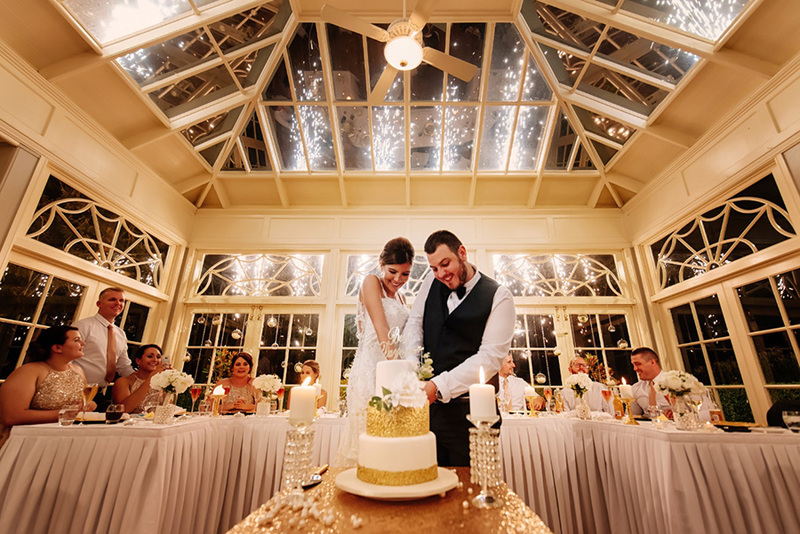 Anthony and Rebecca’s November 2018 wedding at Perth Zoo was the stuff childhood dreams are made of. Photo opportunities abound at this gorgeous venue, as shown by Anthony and Rebecca’s wedding portraits that were expertly by CK Images. Where else in Perth can you have your wedding photos taken in front of a vintage carousel, a dreamy rainforest setting and a dinosaur – all in one day?! Guests danced the night away under a veil of bubbles and got stuck right into the photo booth supplied by In the Booth Perth. 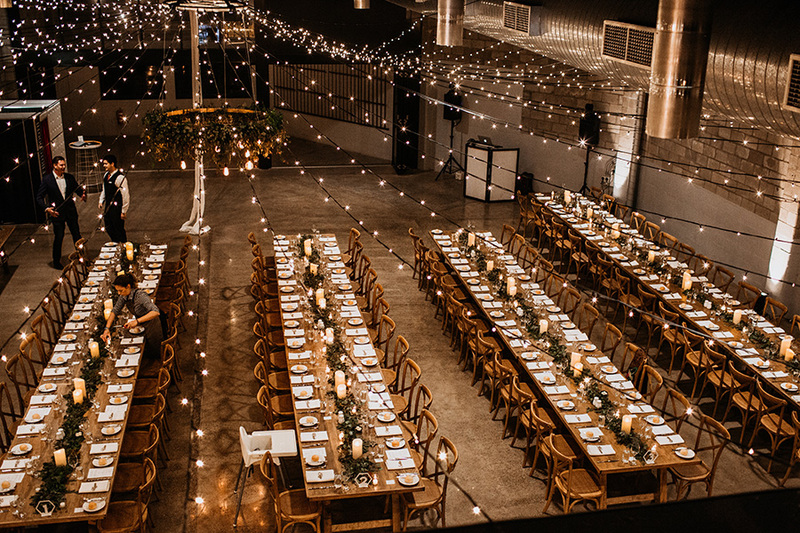 Planning a wedding can be entirely overwhelming, and just when you think you’ve got everything covered, someone mentions “guest favours” and sends you right back into a tailspin! Choosing the right bonbonniere is a challenge all on its own. The perfect guest gift would be something useful and/or meaningful that both represents you as a couple and is affordable. It wouldn’t make sense to gift your guests with a potted plant or seeds if you are both known for your ability to kill even the heartiest of plants, nor would it make sense to give out sugared almonds if you are allergic to nuts. If you’re looking for something elegant that is also affordable, why not consider adding some of our stunning acrylic frames to your In the Booth photo booth hire? Having a photobooth at your wedding is already a bit of a guest favour in part. After leaving a copy of their photos in your gorgeous black leather guestbook, your guests are welcome to keep the other copy for themselves! You’ll find that by the end of the night, most (if not all) of your guests will have a nice little collection of photobooth prints in their bag or at their seat of the table. Next time you pop over to their house, you will probably even find them displayed on the fridge! Our clear acrylic photo frames come with two magnetic sides that can either hold a print strip in the middle of the two pieces and stand alone on a coffee table or shelf, or the two pieces can be used as two separate magnets on the fridge with a print in each! You can rest assured that these bonbonnieres will not be thrown in the bin or discarded into the ‘junk drawer’. As the frames are posted to you prior to your big day, the options for personalisation are endless! 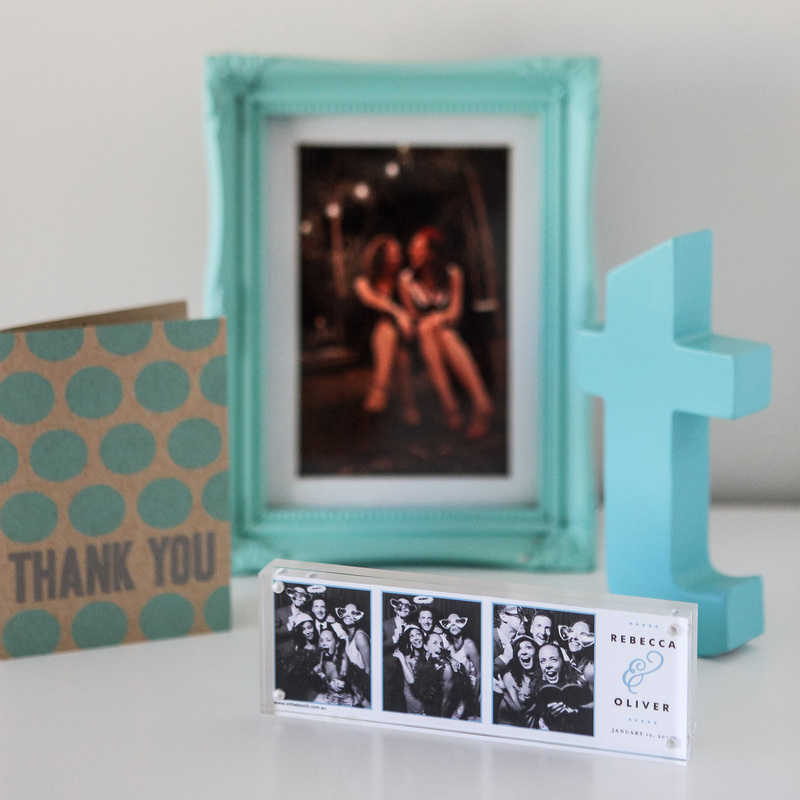 The frames could by displayed on the table with a gorgeous thank you note slipped inside with graphics to match your photobooth print design (we can provide this option as an optional extra to your order). Or maybe you would like to save on place cards and personalise each frame with your guests’ names so that they can easily find their seat. 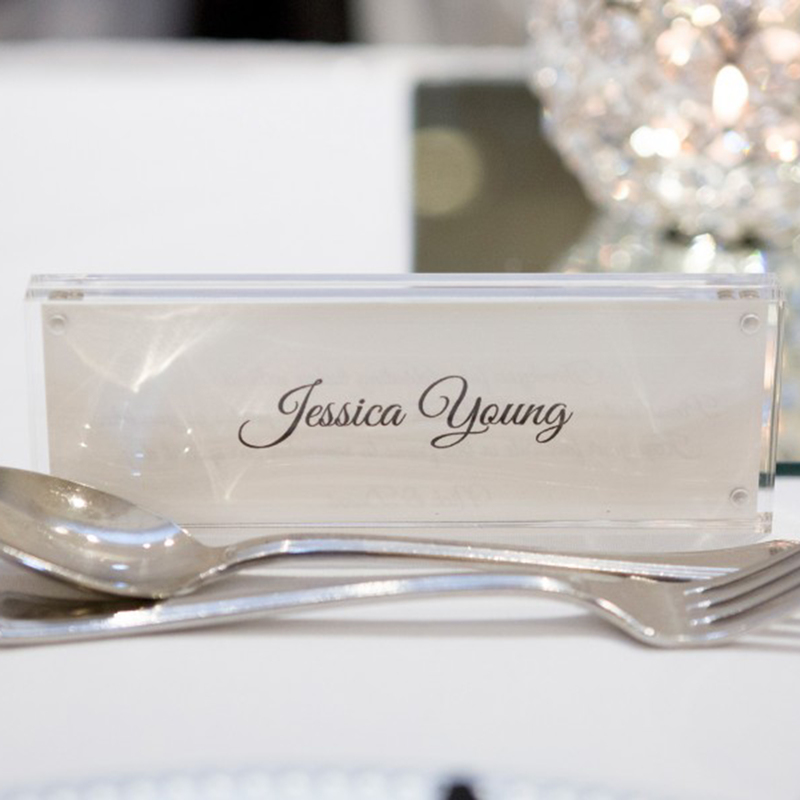 A small piece of card with a name printed on it to match the design of your other stationery would look absolutely stunning displayed inside our stylish acrylic photo frames! For more information or to place an order for some acrylic frames, you can do so by visiting the shop section of your client portal. 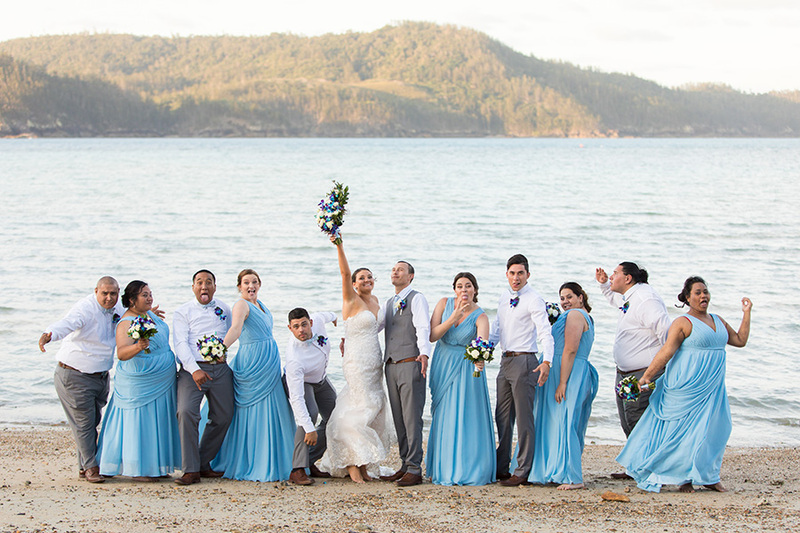 Aaron and Rochelle had a dream Whitsunday Wedding at the Outrigger Island Resort on Hamilton Island. The stunning sky blue bridesmaid gowns coordinated well with the hues of turquoise in the water and the clear azure sky. The scattering of blue and purple dendrobium orchids through the ivory bouquets added a modern, tropical twist to a classic arrangement. In the Booth Whitsundays were invited along to provide some additional wedding entertainment to the guests and to capture some life-long memories in our Hamilton Island photo booth. Got a milestone birthday coming up and you would like to stand out above the rest? 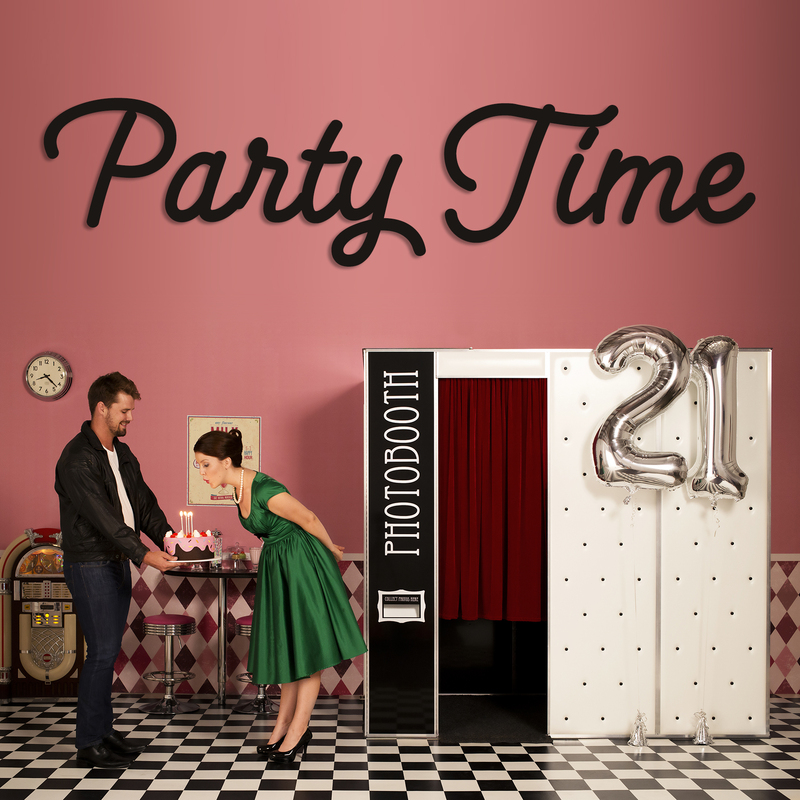 A photobooth is the perfect addition to any birthday party celebration. Ensure your guests have a great time and create many fantastic memories that both you and they can cherish for years to come. You’ve already done the hard yards of creating a fantastic new product, and now you’re in the exciting (albeit overwhelming) stages of planning your product launch. Of course, you want it to be a success! You want your guests to enjoy themselves, but you also want to create a lasting impression and build sales momentum. 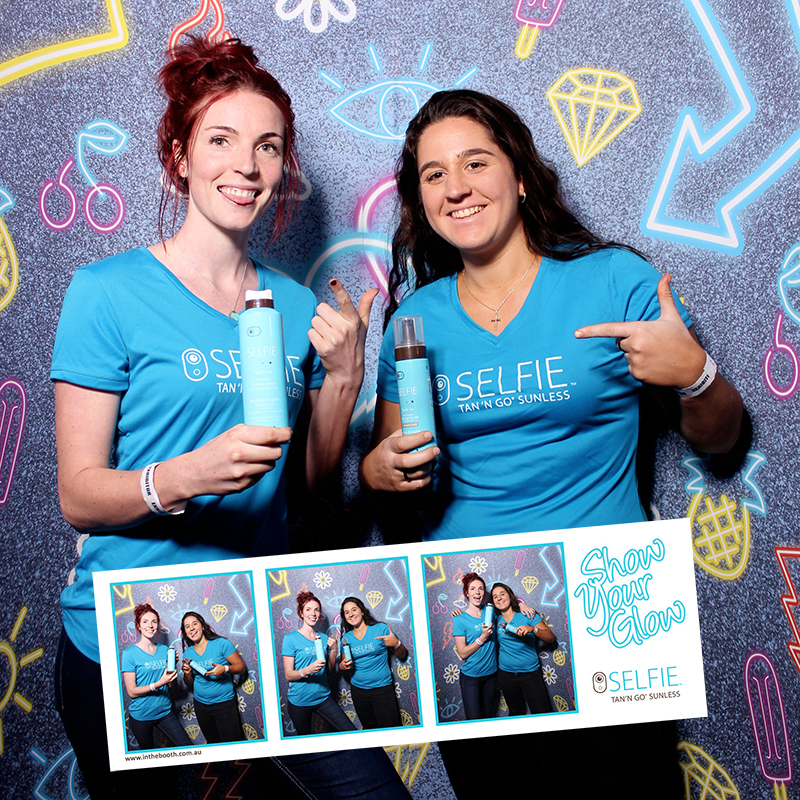 What better way to do both then to invest in a custom photo booth hire for your product launch?